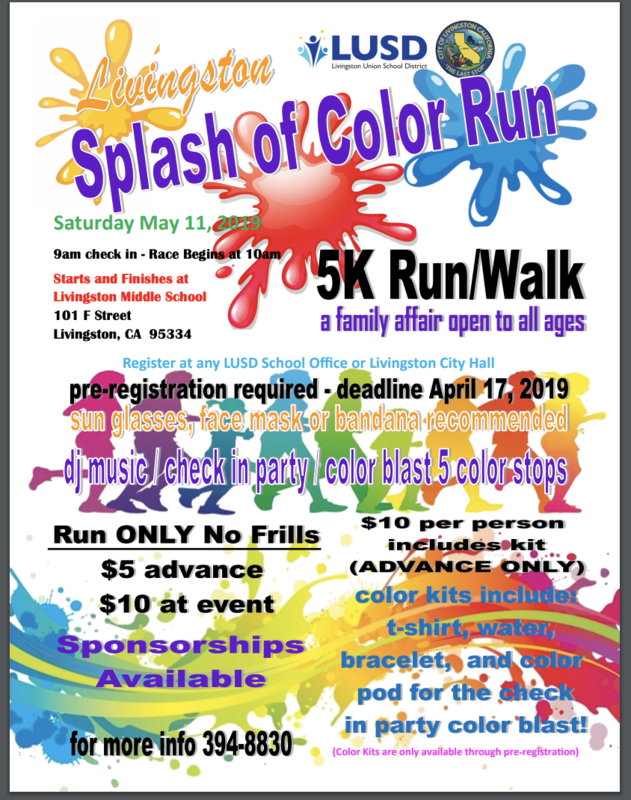 The Livingston Union School District and the City of Livingston Recreation Commission have joined forces to present the City's First Annual 5k Fun Color Run. 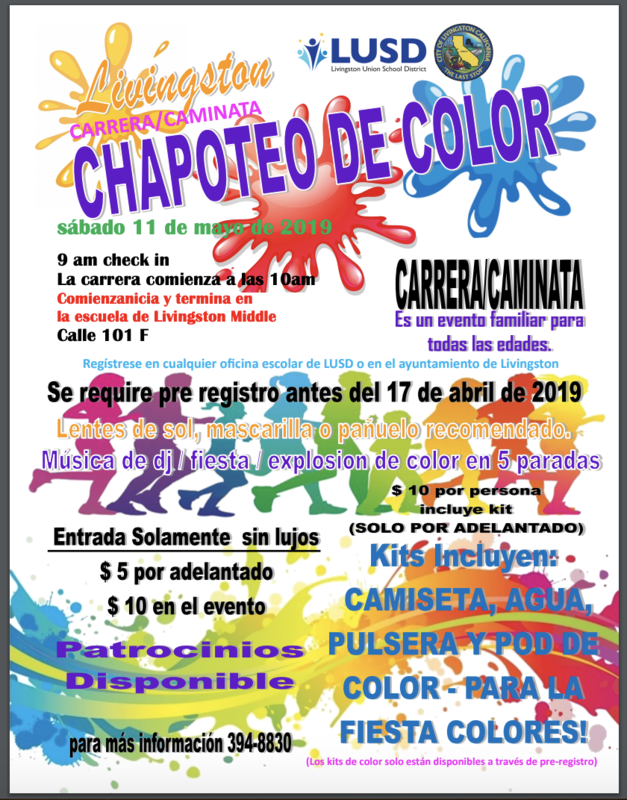 The event will take place on May 11, 2019. The Start and finish line is at Livingston Middle School on Robin and F Streets in Livingston. This year about 1000 runners are anticipated. The event was formed to bring a healthy fun family oriented activity to Livingston.